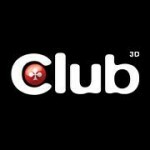 Club 3D R7 240, 250 and 250X come with Never Settle Space Edition Bronze reward! Updated on 18-11-2014 in Never Settle Campaign	. No reply yet	0 1 Want to undo ? Club 3D Radeon R7 260X and 265 come with Never Settle Space Edition Silver reward! Updated on 18-11-2014 in Never Settle Campaign	. No reply yet	0 0 Want to undo ? Club 3D Radeon R9 Series come with Never Settle Space Edition Gold reward! Updated on 18-11-2014 in Docking Station	. No reply yet	0 1 Want to undo ?